A pioneering new partnership project which looks to cut the number of fall-related hospital admissions is to launch in St Helens. Funded by the NHS St Helens Clinical Commissioning Group (CCG) and supported by St Helens Council and the North West Ambulance Service, the five-month pilot scheme will see the introduction of a falls response car which will provide specialist emergency support to residents aged 65 and over who have fallen at home or in residential or nursing care. The response car, operated by a trained paramedic and occupational therapist, will be on call five days a week from 8am – 4pm as from Monday 5 December and will respond to non-life threatening 999 fall calls so that patients can be treated at home without having to go to hospital. 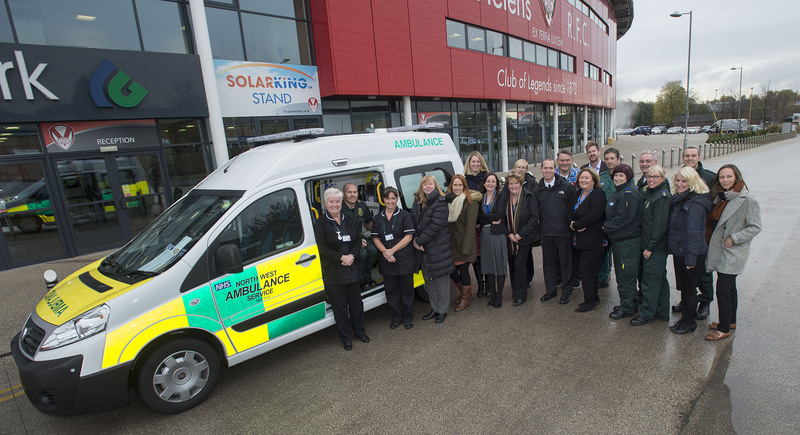 In St Helens, nine per cent of all ambulance 999 calls are in response to residents over the age of 65 who have fallen at home, with 77.4 per cent of cases resulting in hospital admission. Sarah O’Brian, Interim Clinical Chief Executive of NHS St Helens CCG, said: “St Helens has a high percentage of older people and we want to ensure they have the opportunity to live as independently for as long as possible. The response car –with its highly specialised team – will be able to respond quickly to residents aged 65 and over who have fallen, giving them the maximum opportunity of not being admitted to hospital. St Helens Council’s Cabinet Member for Adult Social Care and Health, Councillor Marlene Quinn, said: “The council and its partners have recently placed falls amongst one of its highest priorities. Paul Walton, Urgent Care Development Manager at North West Ambulance Service added: “This is an exciting opportunity for a number of care providers to collaborate, working towards providing excellent patient care and reinforcing positive outcomes”.